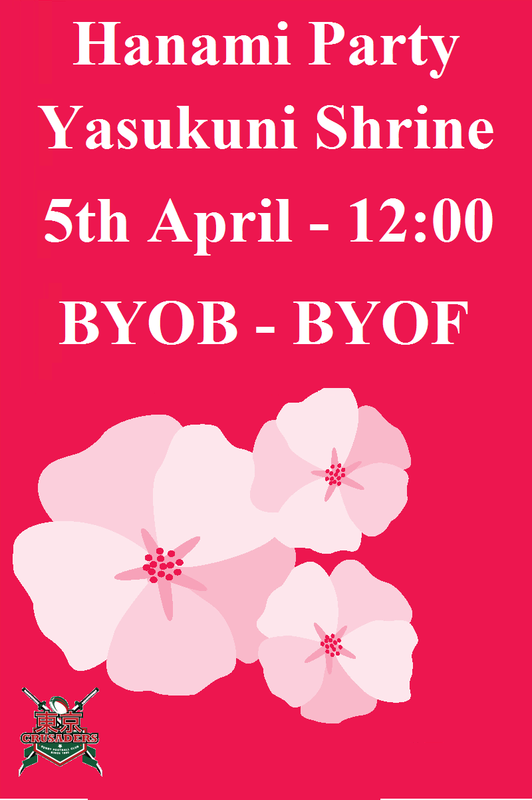 We are happy to welcome you along to the Crusaders Hanami on Saturday the 5th of April at the Yasukuni Shrine. Its bring your own food and beer but we can sit chat and drink under some blossoms. Its a full family event this time so feel free to bring wives, girlfriends and children. Its a completely open event so if you have been thinking of joining the Cru but wanted to do it on a social level its the perfect time to join us. The event will start at noon and run from there. Hope to see you all soon.